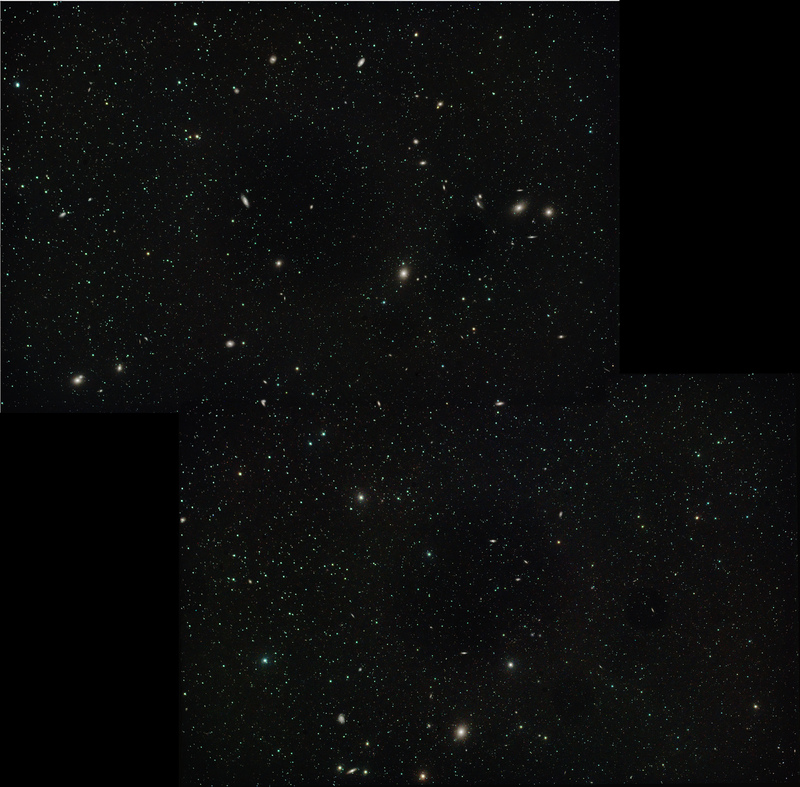 Managed to pre-script a 4-pane mosaic using CCD Commander on Saturday morning, and got a chance to grab some images for 2 of those panes on Saturday night at SGL6. The skies had thin cloudy rolling through, and it was a bit murky, so I wasnt expecting much from this. Its OK, not great, there is a lot of noise in the full size version, and some worrying hot pixels that have started appearing in the FITs files.